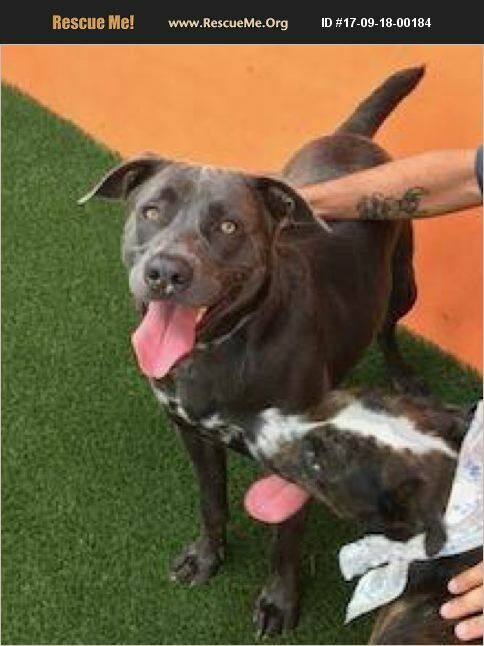 This handsome fella is great with people, kids and most large dogs.However, he will thrive in a home where he gets all the love and attention as he has lacked the love for so long. He is not a fan of cats or small dogs that yap at him. This cutie is housebroken; however, needs to learn to walk nicely on leash. This guy can be a couch potato all day with you or is up for the opportunity to run & play if given the opportunity. He would love to lay in the front seat of your car while being your companion driving around town. He will gently takes treats from you while looking at you with eyes that say, 'please love me'.